Erik has a degree in mechanical engineering and a BSc Business Administration from Uppsala University. He has extensive experience from senior management positions in international corporations including Apple, MTG and Lexmark. Prior to Exxentric, Erik also worked as a senior consultant, providing analysis, guidance and strategic planning support to the management of start-ups and fast-moving companies on the internet/online/sports industries. In his free time, Erik is a keen coach of his son’s football (soccer) team. To read Erik’s blog posts, see our news page. 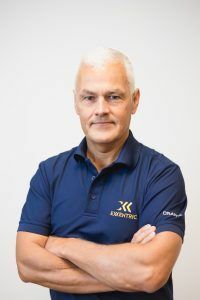 Read the press release when Erik joined Exxentric (in Swedish) here. You can get in touch with Erik easily via Twitter or LinkedIn. You can also use our contact page or contact him directly via email. Go back to our team.